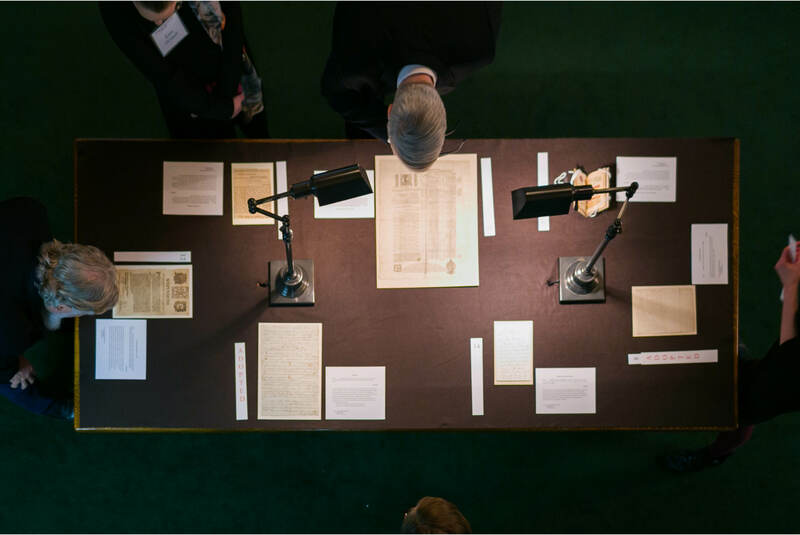 Held annually, Acquisitions Night is an opportunity for friends and supporters of the Folger Shakespeare Library to explore additions to the collection and to interact with curators, conservators, and other experts from the Folger. Participants are encouraged to adopt acquisitions and provide general support. Consider making a gift in support of the Folger’s collection today.